Come and join us for a relay ride through the beautiful New Forest. With 6 sections and 5 teams it’s going to be great fun! Everyone can join in the last leg which will arrive at the PEDALL HQ near Burley, New Forest. Further details on the route will be released closer to the date. 1. To celebrate the opening of the new base. The new base is critical to the long term sustainability of PEDALL as it provides somewhere to store and maintain the bikes. It also provides a hub for volunteers to meet and work on the project – including maintaining the bikes. We want to increase the number of people who enjoy what PEDALL has to offer whilst increasing community awareness. We’re privileged to have Darren Kelly the para-Olympian cyclist leading the ride and he will be bringing along his Olympic medals for riders view and chat to him about his great achievements. Through individual and team sponsorship we’re looking to raise funds to help take PEDALL to the next level. We’re looking to engage with businesses who can help support the event and ideally provide ongoing support. This one is simple. 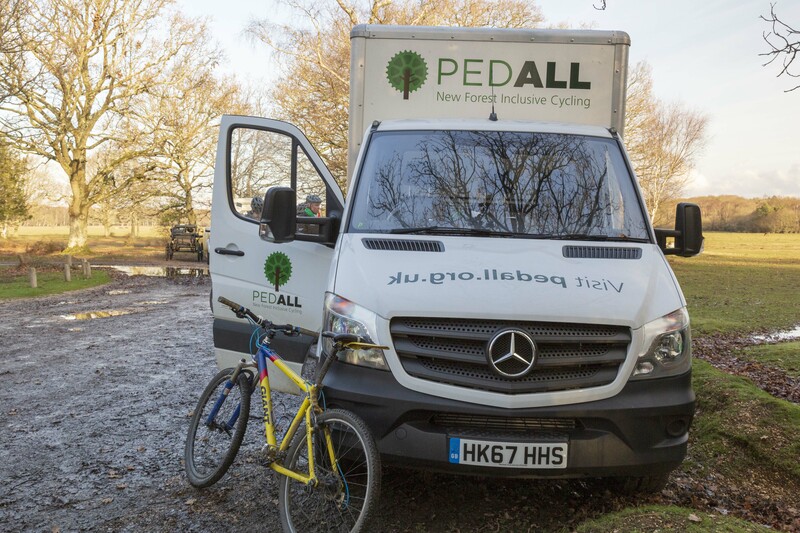 PEDALL would not be here if it wasn’t for our passionate volunteers and supporters so we’re looking to recruit additional help to grow our offering and service. We want to provide our riders with an opportunity to meet other riders and to challenge themselves whilst creating a great sense of personal and team achievement. Email info@pedall.org.uk if you are a business interested in sponsorship opportunities for the event.